October 8th in WordPress Themes by Wordpress Jedi . 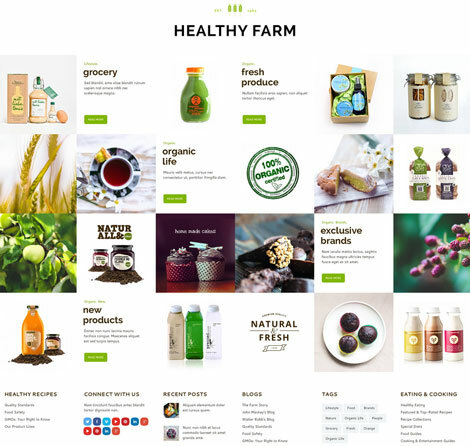 So you want to give your organic food website a makeover or build a professional presence for your agricultural business? Healthy Farm for WordPress can help. It is a responsive theme ready for retina displays. Thanks to Visual Composer, you can customize your pages via a drag & drop interface. You also get Revolution and Swipe sliders. Healthy Farm comes with a rating and review system. It is powered by the ThemeREX framework. With Front-end Editor, you can edit the contents of your website faster. 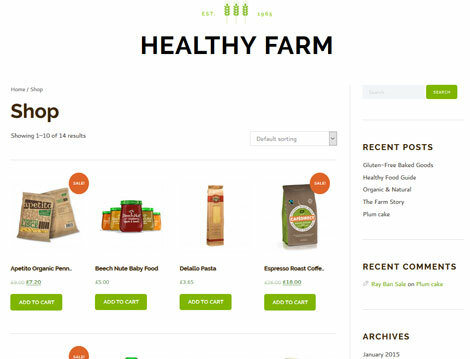 Healthy Farm has 6 homepage layouts, 2 menu styles, and 3 blog styles. It comes with custom widgets for Flickr, Twitter, Popular posts, and Ads. Healthy Farm has 3 menu types. The theme also comes with Google fonts. It is ready to be translated. This is a commercial theme by an Elite Author.